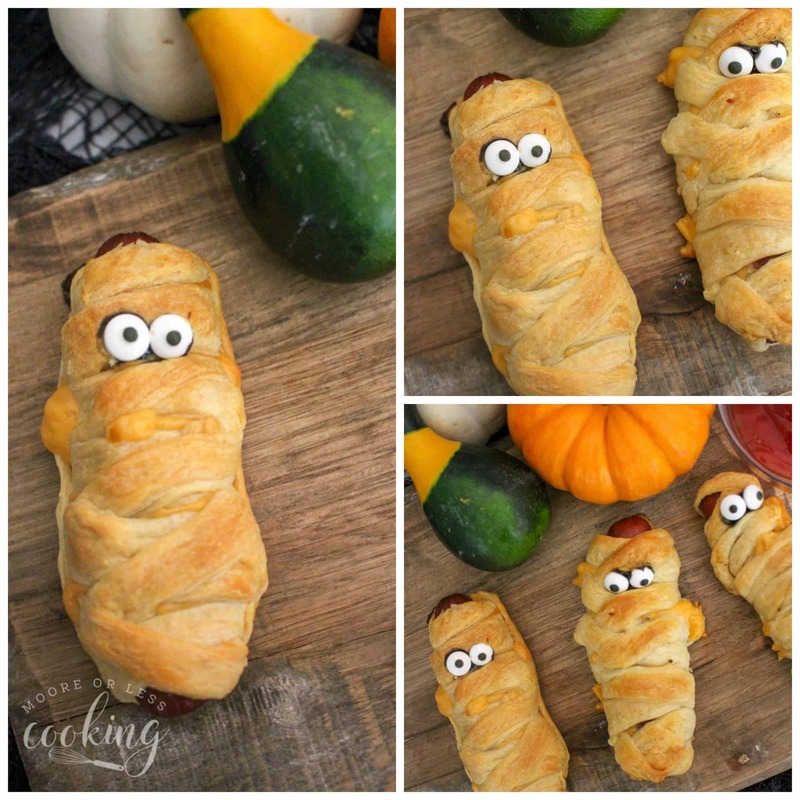 Mummy Hot Dogs are so fun to make and especially delicious to eat! 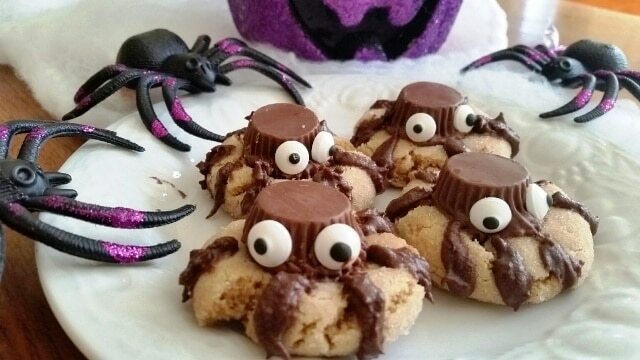 Kids love to help make these spooky treats! 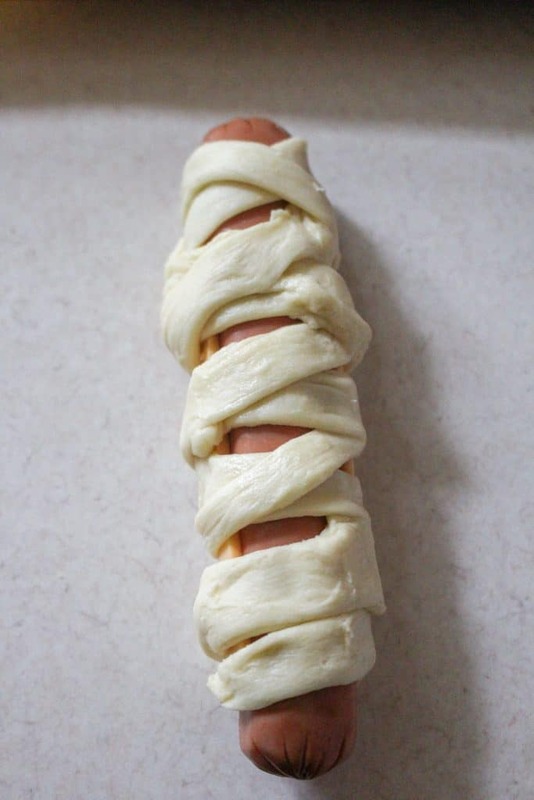 Wrap up a hot dog in true mummy fashion with this fun Halloween take on classic Crescent Dogs. 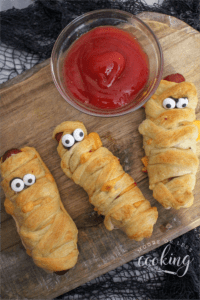 The classic Crescent Dogs get a mummy makeover! Hot dogs get the WRAP as these Mummy Hot Dogs are a fun and delicious Halloween appetizer or dinner! 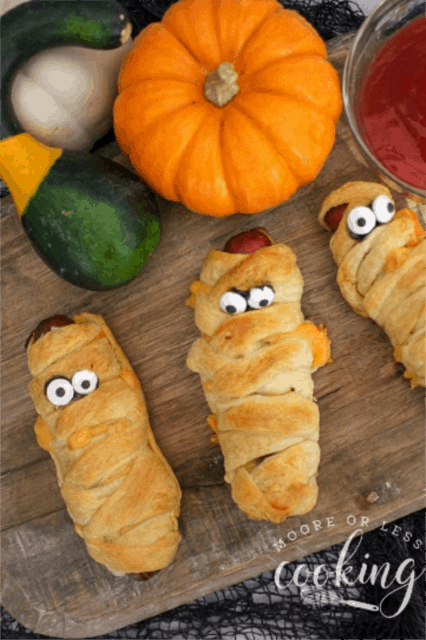 This would be a cute, fast supper before trick-or-treating. 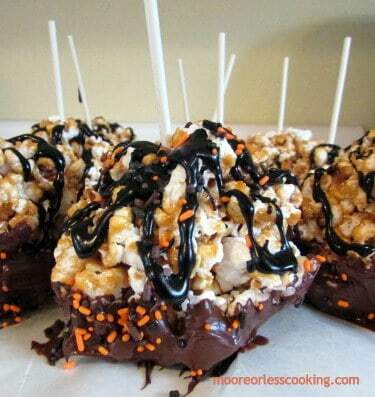 Very funny to put them in kids lunches on Halloween too! 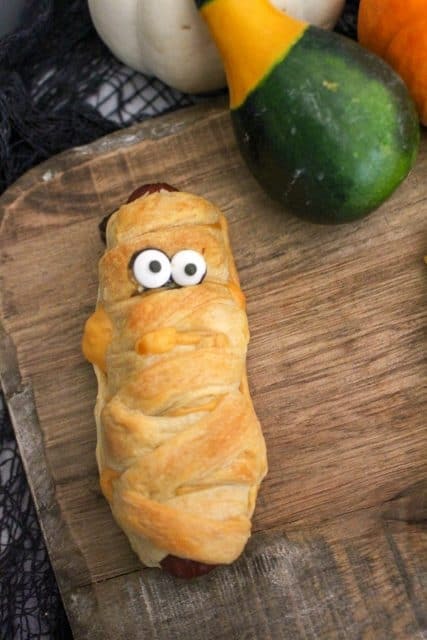 Pigs in a blanket are the most popular appetizers at parties, these Halloween-inspired mummy hot dogs are easy to make and totally kid-friendly, these little guys will be a hit at your party! I am a wimp when it comes to Halloween, I like to keep my treats and eats friendly not scary! 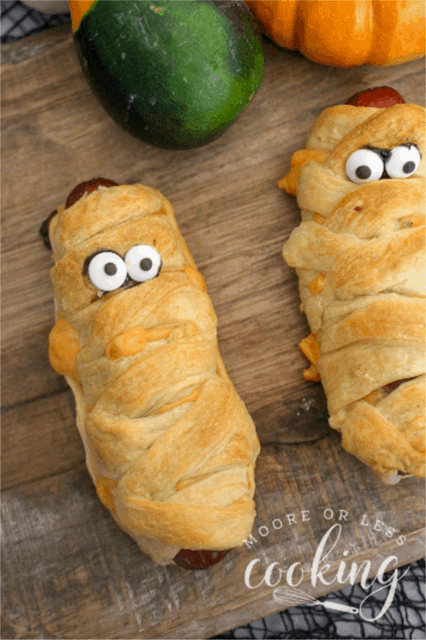 Try making these Mummy Hot Dogs for a special Halloween dinner for you and your kids! 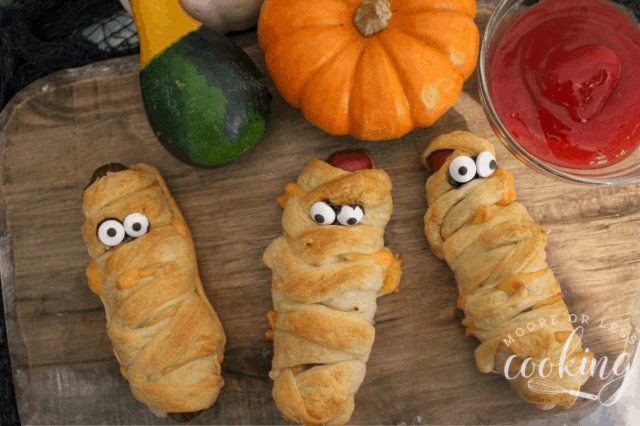 I used my favorite Baking Pan and Pizza Cutter to make these Mummy Crescent Dogs. 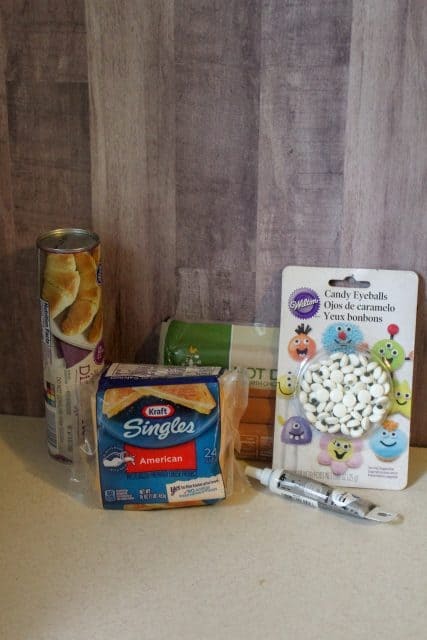 So fun and easy to use this Decorating Gel and Candy Eyes. Roll out the Crescent Dough. 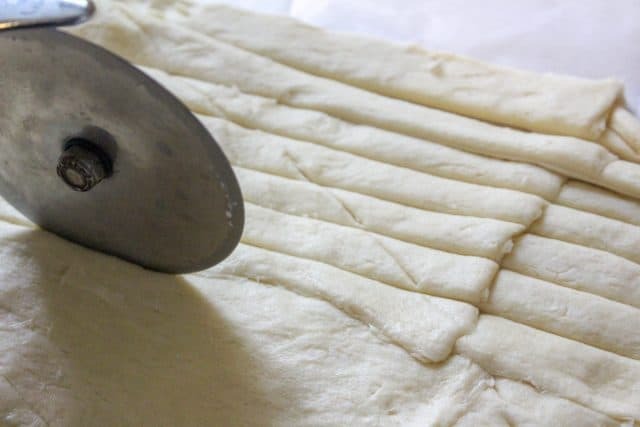 Using a knife or a pizza cutter, cut the dough into long strips. 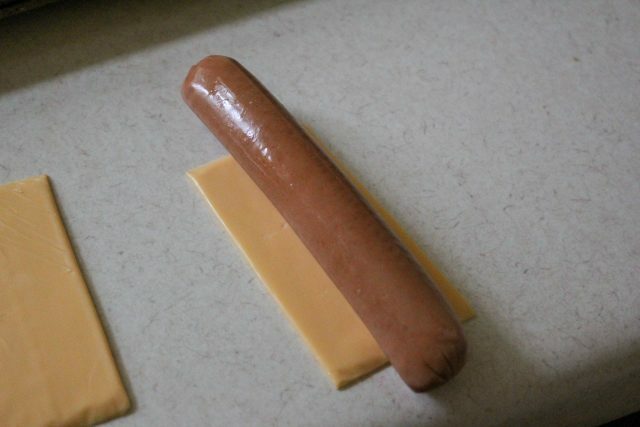 Cut a slice of cheese in half and place an uncooked hot dog on top. 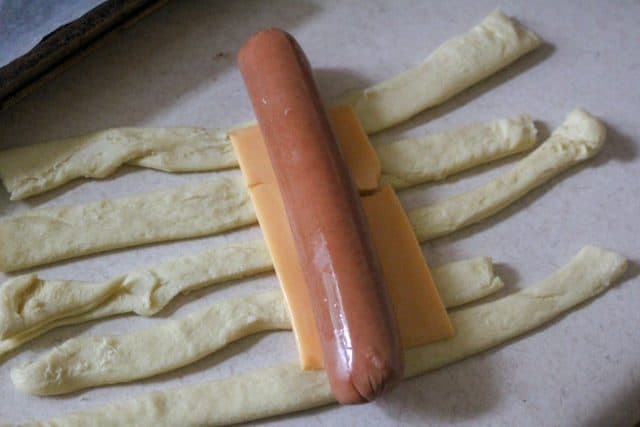 Take a strip of the dough and wrap around the hot dog and cheese. 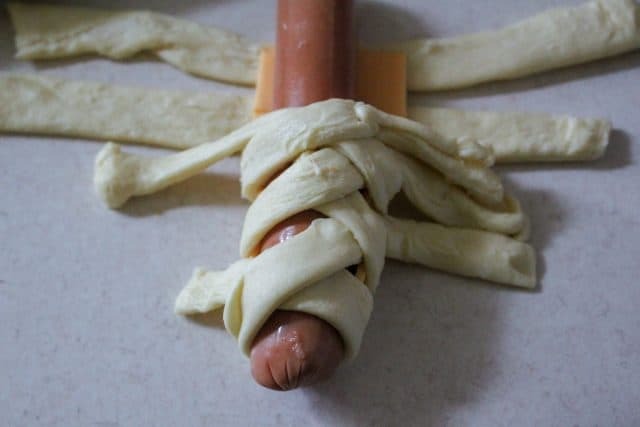 Wrap up the hot dog criss-cross like a mummy. Place on the cookie sheet and bake according to the crescent dough instructions until golden brown. Once cooled, put a small dot of black decorating gel on the back of a candy eye. Place on the mummy. 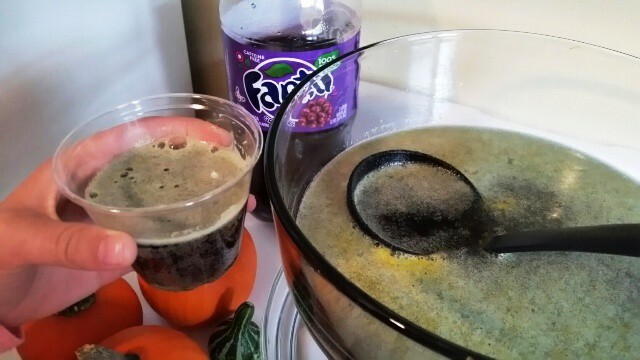 Serve with your favorite chips and enjoy your Halloween outing! Preheat oven to your crescent dough’s instructions. Grease a baking sheet or line with parchment paper. 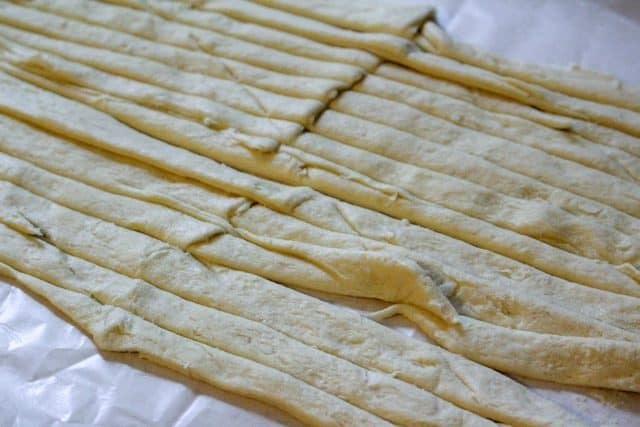 Open the refrigerated crescent dough. If your store has the sheets, you can get those, but if they don’t it is okay. Just pinch the crescent triangles to form a sheet. 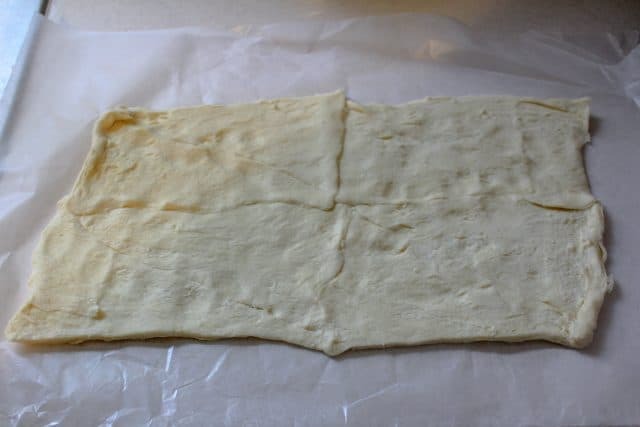 If you are omitting the cheese, you can use less dough but if you are using cheese then you will want to load it up to prevent the cheese from melting and oozing out. Serve with a dish of ketchup or mustard for dipping.